Peter Swistun was a Saskatchewan farmer who lived in the middle of nowhere. But apparently that was a good place to be, as Switsun’s farm was frequented by a giant whitetail he’d kept his eyes on for a long time. 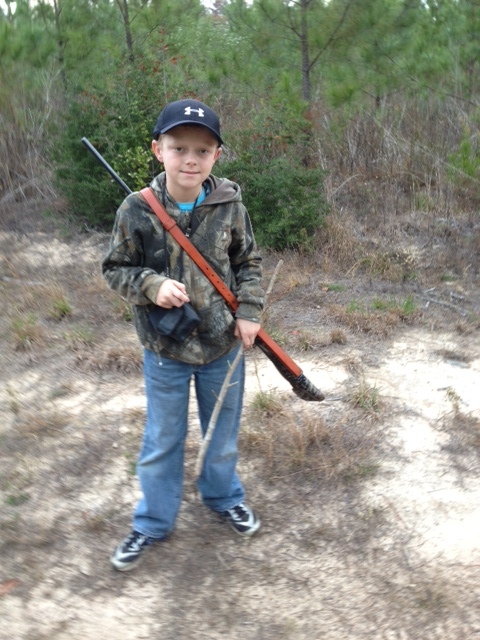 With a buddy and an old beat up pickup, Switsun went after the deer after sighting it one evening while doing chores. His friend got off a few shots but couldn’t connect, but then Switsun killed the deer with his .30-06. The official score was 200 2/8 B&C, which was good enough for No. 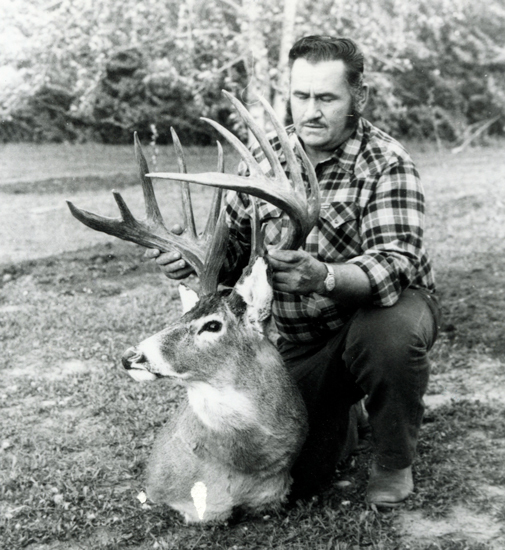 16 on the all-time typical whitetail list. A snorkeler off the coast of California found more than she bargained for on the ocean floor, when she saw the large eyes of an 18-foot fish staring back at her. It turned out to be a dead oarfish, a mysterious creature known to live in waters thousands of feet deep. The discovery at the bottom of Toyon Bay at Catalina Island came as a shock to Jasmine Santana, an instructor at the , who approached the ribbon-like animal with care before realizing it was dead. Its body was “almost perfectly intact,” the institute says. It may have died of natural causes. As Santana tried to pull the sea creature through the shallows and up to a beach, other instructors spotted her and pitched in. It took at least 15 of them to hoist the oarfish, which brought a surprise ending to what had been a “leisurely” afternoon snorkel. The institute, which runs a camp and activities for children, has contacted ocean wildlife experts about the find. 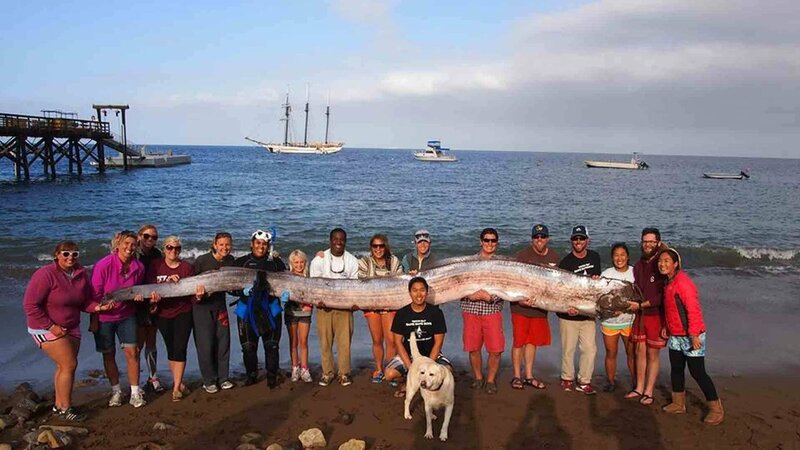 The oarfish is the longest bony fish in the world; one specimen was reported as being 36 feet in length, according to the . The animal is also called a ribbon fish, or sometimes merely the king of herrings. In 2011, a large oarfish was filmed swimming in the Gulf of Mexico, in striking images that show its single dorsal fin rippling along the length of its body. 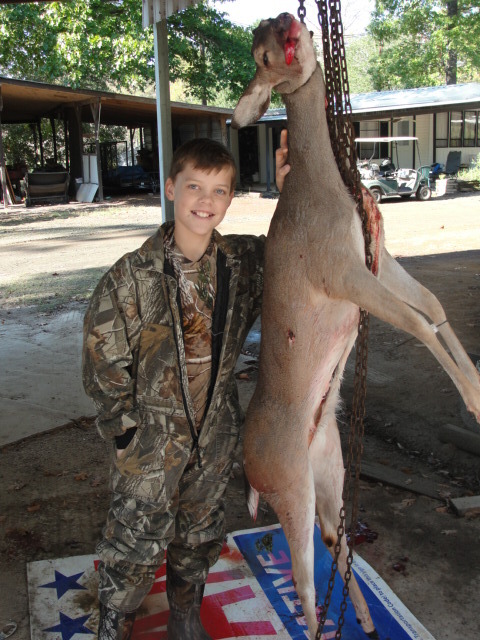 Like Cinderella, Eugene Kurinka was left at deer camp to do chores while his friends went out for a morning hunt. After the chores were done, Kurinka headed out for some late morning hunting on the Otauwau River in Alberta, Canada. 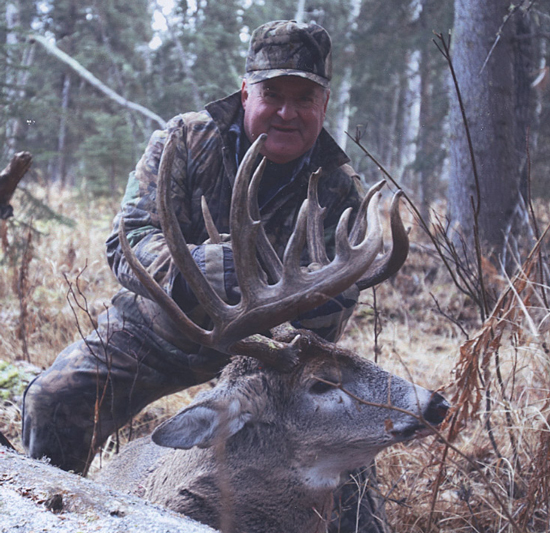 He didn’t find a glass slipper, but something even better—a 200 1/8 B&C whitetail and the No. 17 typical on our list. 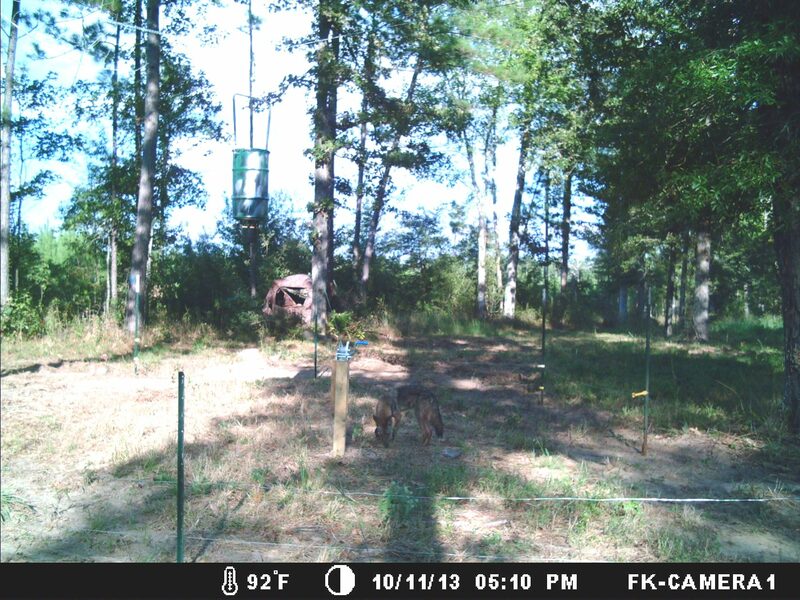 He now has official bragging rights in deer camp. The other day I asked a friend if we received much rain. His reply was, “It rained cats and dogs for a while”. I understood what he meant by that phrase, but upon reflection wondered about its origin. I had read somewhere that the phrase dates back to the 16th century when houses had thatched roofs. It seems that the roofs were favorite places for cats and dogs to sleep. 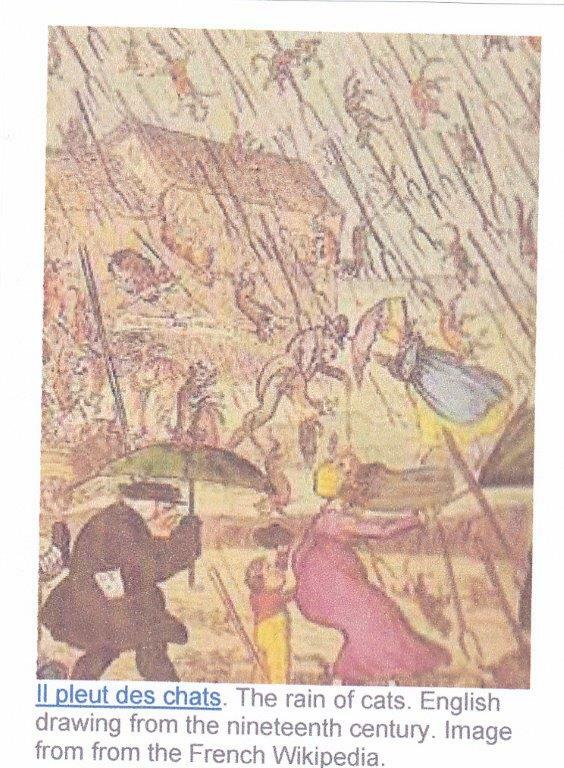 When it came a very hard rain, the animals would fall off or through the thatched roof, thereby it was said that it rained cats and dogs. However, further research has proven that origin as incorrect. The fact is that the experts just don’t know the origin of the phrase. It might have roots in Norse mythology, medieval superstitions, or from the obsolete word catadupe (waterfall), or perhaps dead animals in the streets of Britain being picked up by storm waters. There are other similes which employ falls of improbable objects as figurative ways of expressing the sensory overload of noise and confusion that can occur during a violent rainstorm. People have said that it’s raining like pitchforks, hammer handles, and even chicken coops. It may be that the version with cats and dogs fits into this model, without needing to invoke supernatural beliefs or inadequate drainage. Well, there you have it. It appears that on this particular saying one has to make up his/her own mind about which explanation suits your fancy. If the experts, the etymologists, can’t figure it out, then I am sure I can’t. But that won’t keep me from using it the next time it “rains cats and dogs”, and will try not to step in a poodle.